The coin collection of the Archaelogical Museum of Münster University consists of more than 5,500 objects covering all historical periods in antiquity: Greek coins (of the archaic, classical and hellenistic periods), coins of the Roman Republic and empire, Civic and provincial coins of the Imperial period, and Byzantine ones. The Bibliothèque nationale de France is the National Library of France, located in Paris. It is the national repository of all that is published in France. It holds one of the most significant numismatic collections. The Roman Republican, Imperial and Hellenistic Argead coinage (struck in the name of Alexander the Great and Philip III Arrhidaeus) in the Harvard Art Museums. The University of Leeds coin collection, held in the University Library Special Collections in the Brotherton Library, consists of approximately 20,000 coins. While particularly strong in Roman coins, the collection also includes: Greek, East Asian, Medieval, and Modern examples. The Coin cabinet in the Martin von Wagner Museum (Würzburg University Museum). The Julius-Maximilians-University of Würzburg (JMU) holds about 1.200 coins, medals and para-numismatic objects from the 7th BCE to modern times with a focus on Greek and Roman coins. Due to the near complete destruction in World War II the coin cabinet in the Martin von Wagner Museum (MvW) is mainly build by donations after 1945 and by a few selected acquisitions. The most important of those donations is the Coll. H. Wellhöfer – c. 400 classical Greek coins with an emphasis on iconography and aesthetics. The Münzkabinett of the Kunsthistorisches Museum Wien (Vienna in Austria) owns over half a million objects which make it one of the largest collections of its kind, and it can be traced back until the 16th century. It holds coins, medals and banknotes, but also coin dies, bonds and primitive money. Not only does the collection house unique rarities and priceless treasures, its abundance and completeness make it an essential tool for fundamental research in Numismatics and History. The Heinrich-Heine-Universität Düsseldorf (capital of the National State of Northrhine-Westfalia) holds one of the biggest and most comprehensive numismatic collections of ancient coins and medallions at University level in Germany. The core of the collection is represented by some 8,000 coins supplemented by considerable holdings of casts of coins from Asia minor of the Hellenistic (Greek) and Roman Imperial periods. This database includes the coins of the excavations since 1998 (Museum Balat) and the old excavations of the Berlin Museums (Münzkabinett, Staatliche Museen zu Berlin). By Bernhard Weisser and Johannes Eberhardt (Staatliche Museen zu Berlin) in cooperation with the German Archaeological Institute and the universities in Frankfurt (Wulf Raeck, Axel Filges), Bonn (Frank Rumscheid) and Bursa (Hakan Mert). IT: Jürgen Freundel, Editor: Karsten Dahmen. The Münzkabinett of the Staatliche Museen zu Berlin is one of the largest Numismatic Collections in the world. The area covered by its holdings reaches from the beginning of coinage in the 7th century B.C. to 21st century Euros, its geographical scope from Finland to South Africa, from Berlin to Buenos Aires. In addition to more than 500,000 items (coins, medals, notes, tokens) the Cabinet also holds sealings, dies, and historical minting tools. 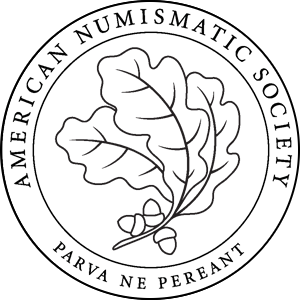 The Numismatic Collection equally is maintaining its exhibitions duties and, being an archive of money, its role as a centre of numismatic research and study. The collection of coins of the Archaeological Seminary of the Philipps-University Marburg comprises about 1,000 Greek and Roman coins. It is part of the Antikensammlung, which was founded in 1878 by Ludwig von Sybel (1846-1929), Professor of Classical Archeology. A special enrichment to the collection is the donation from 2017 by Hans-Werner Ritter of nearly 300 well-preserved coins from all eras and regions of Ancient Antiquity. The Heberden Coin Room (Ashmolean Museum, University of Oxford) houses a systematic and comprehensive collection of some three hundred thousand coins and medals with particular strengths in the fields of Greek, Roman, Celtic, Byzantine, Medieval, Islamic, Indian, and Chinese coinages. It also holds collections of paper money, tokens, jetons, and commemorative and art medals. The Fralin Museum of Art at the University of Virginia numismatic collection contains about 600 coins of mainly Greco-Roman origin. The Seminar für Alte Geschichte und Epigraphik of Heidelberg University together with the Institut Klassische Archäologie holds a collection of more than 4,000 Greek and Roman coins. The collection dates back to Georg Friedrich Kreutzer (1771-1858) and grew with later purchases and donations. From the beginning, the collection was conceived to be used for teaching purposes, highlighting the history of coinage from its origins in ancient Greece down to Late Antiquity.